-- This large, colorful wall map features current geographic detail and labels, grid squares, call sign prefixes, boundaries and more. Great for all operators! 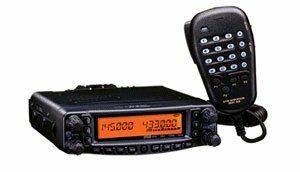 Essential for contesters, WAS, VHF/UHF Century Club, and other award seekers. Also makes a great hurricane tracking map. Use it to track storms from your home.